A special issue of Le Monde Moderne devoted to the Exposition Universelle et Internationale held in Paris in 1900. Edited by Albert Quantin. 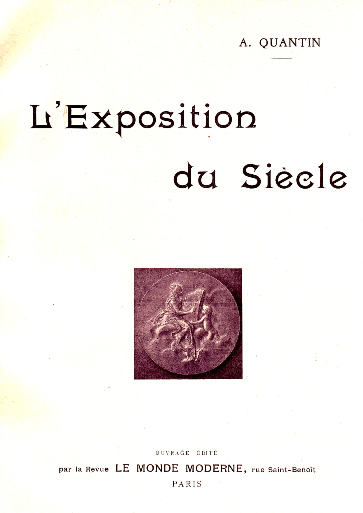 Contains a series of well-illustrated reports on the architecture of the Exposition and the work exhibited.